The book is an attempt to make sense of suicide related behaviour in terms of understanding its aetiology and how practitioners can respond in a caring and therapeutic manner. The last 30 years the data gathered has consistently indicated that suicide is a leading cause of death in young people especially men. Alongside this, the incidence of self harm, which has always been high, does not seem to be abating. Some professionals argue that attempted suicide and self harm are both the same entity. This book puts forward that they are two sides of the same coin and this coin is called suicide-related behaviour. 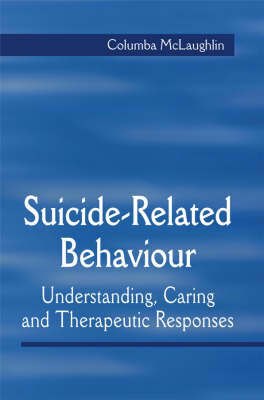 This is a general term used in the book to describe all behaviours where the person intended to kill or harm themselves. In doing so relevant issues within the phenomenon of suicide-related behaviour and specific to both self harm and attempted suicide will be explored and addressed.